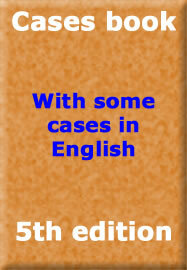 5TH EDITION - now available! The theoretical contents of the books Strategic Management. Theory and Applications and Fundamentals of Strategic Management are applied to the reality of some of the most important Spanish firms. It therefore aims to analyze how the Strategic Management model of analysis is actually applied in business operations. To carry out this objective, a group of well-known firms have been selected in order to analyze their strategies and performance in Spain as well as their increasingly more frequent international development. In any case, the firms selected are always Spanish or operating in Spain. The information used as a basis for the elaboration of the case studies was obtained from several sources: specific bibliography, annual firm reports, web pages and articles from the specialized press. The relatively broad selection of case studies makes it possible to consider different aspects, variables and behaviours carried out by different firms. It is therefore possible to study aspects such as the definition of the mission and objectives, industry analysis, internal analysis, definition of strategies and competitive advantages, technological strategies, diversification and multibusiness firm management, restructuring strategy, external growth, alliances, internationalization, strategy implementation, organizational design and change and strategic planning and control. 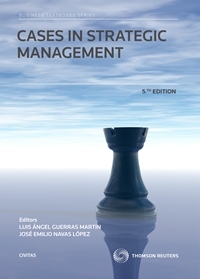 Although in the majority of the case studies, several of these aspects can be detected, the book attempts to focus each one on some of the most relevant aspects of the Strategic Management process. The order in which the case studies appear therefore attempts to respect the logical order of the Strategic Management process. The Cases Map illustrates the main contents of each one of the case studies, and those in shaded type are more appropriate for discussion. At the end of each case study, there is a section on Sources of Complementary Information with additional references to help solve questions raised in each case study. Different publications and web pages of the businesses analyzed and related businesses or organisms and institutions are included. All things considered, the book attempts to provide relevant information concerning the knowledge of the strategic behaviour of some of the most outstanding Spanish firms which, from the point of view of a teacher, provides a practical interpretation of the Strategic Management model and, from the point of view of a manager or professional expert, contributes information to improve business activity.